Did you know that donkey’s have been around since even before the dynasty of the Egyptian civilization we learned about in secondary school? It’s true, the modern donkey dates back over 6,000 years! While they are found in the murals of the tomb of the New Kingdom pharaoh Tutankhamun as hunted animals, their importance is much greater than that. Since even then the donkeys have been a desert-adapted animal, able to carry heavy loads. Unfortunately, in some parts of the world these animals need to be protected. 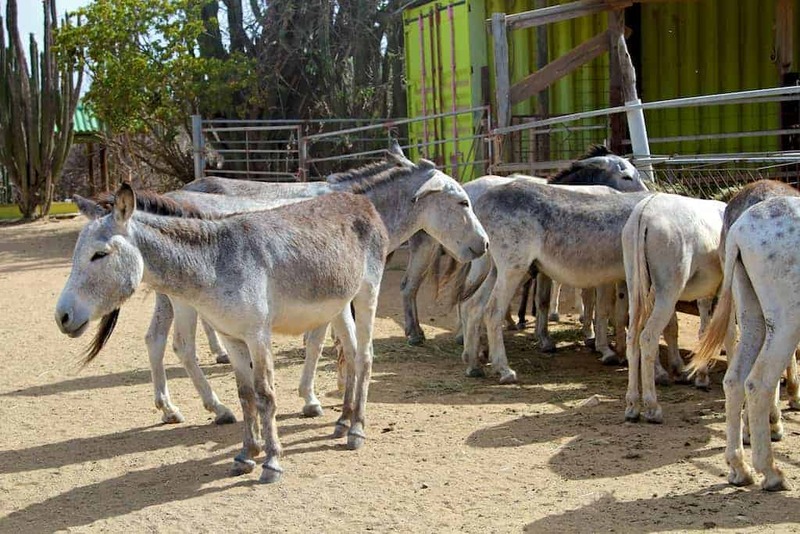 Introduced to Aruba by the Spanish around 1527, donkeys were originally used as transportation. Once cars and population picked up, many were simply just let go into the wild. Being domesticated animals, without proper care and feeding many died of disease and a safe haven was needed. In 1997, that safe haven opened and was aptly named the Donkey Sanctuary. 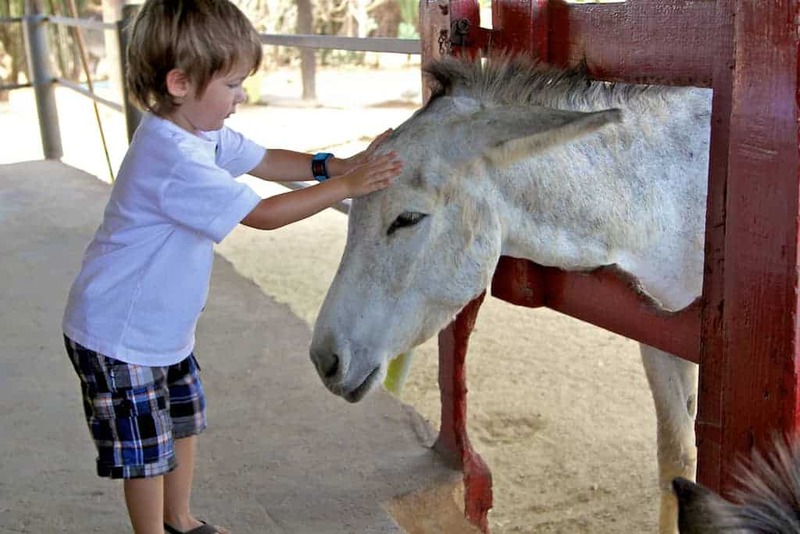 Since then, the owners have been committed to not only saving the donkeys on the island, but also making education about them a fun, family attraction in Aruba. In addition to being able to pet and cuddle the animals, if you arrive early enough, families can even help feed and care for them. During our visit to Aruba, this was easily my son’s most favorite activity along with the visit to the Butterfly Farm. 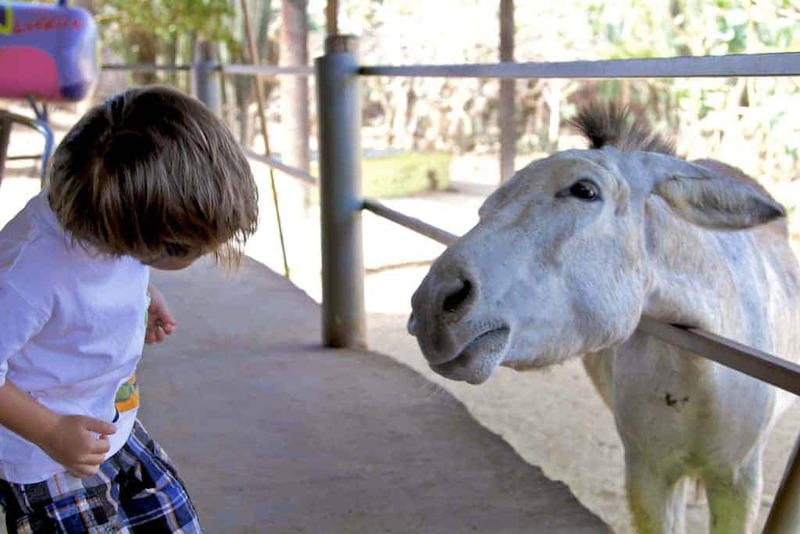 If you’d like to take it a step further, through Aruba Marriott Resort & Stellaris Casino‘s partnership with the Donkey Sanctuary, travelers can participate in the Support the Donkeys program by donating $10 towards maintaining sanctuary in exchange for a commemorative purse or backpack that makes for a great trip souvenir. 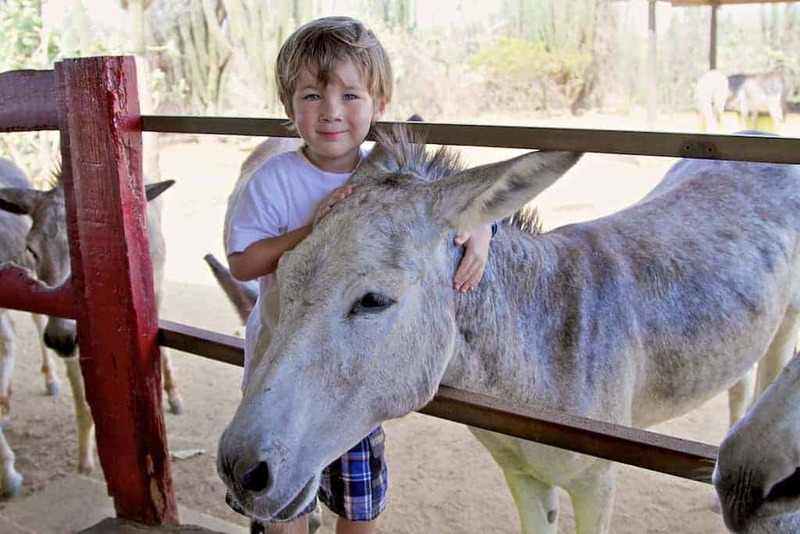 Travelers can also adopt a donkey for $200 per year, which goes towards ensuring the donkeys receive food and water, shelter, quality medical care, and of course…lots of love. Because Donkeys are desert-adapted they can go up to four days without water! 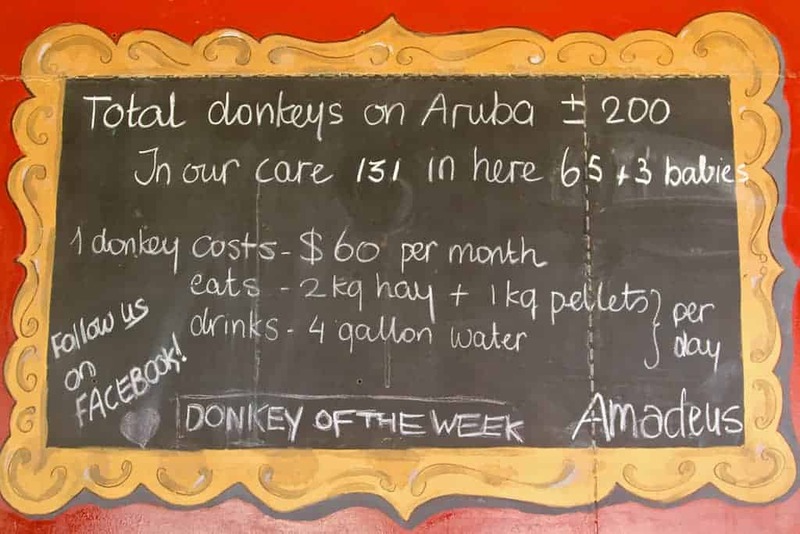 But, when water is available, the donkey drinks 10 to 15 liters of water a day – that’s a lot! Unfortunately, the rest of a donkey’s diet isn’t so great. They survive on grass, leaves, seeds and even cactus, but they actually prefer sweets like fruit and sugar lumps, even though it’s bad for their digestion and their teeth. Given their poor diet decisions it’s surprising that the average life span is between 35 and 40 years but donkeys have lived as long as 50. Unlike people, a donkey becomes an adult at only five years old. You can determine the age of a donkey by it’s teeth; younger donkeys have oval teeth and older donkeys teeth are more round. Donkeys are social animals who like to live in groups ranging in size from two to sixteen. They rarely leave these groups unless they are ill, recently had birth, or are too old to keep up. How Donkeys and Horses Differ: The easiest way to tell Donkey from a Horse is the way they look. Donkeys are short and stout, whereas horses are taller and slimmer. Donkeys also have shorter manes and tails. 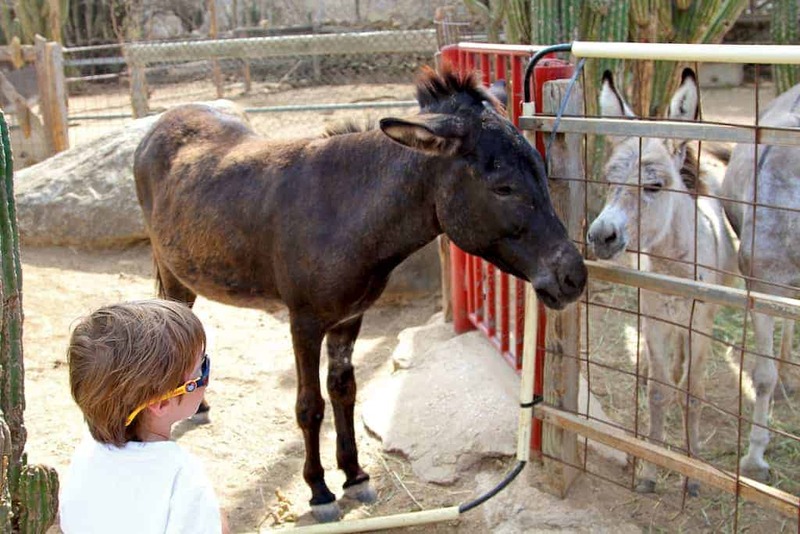 All of the fun facts and cool information written here is provided by the Donkey Sanctuary but they have so much more to offer. Be sure to check them out on your next trip to Aruba. This looks like such a fun place and I had no idea donkey’s lived to be so long.